For Makro presents LIFE, a shower system for all. 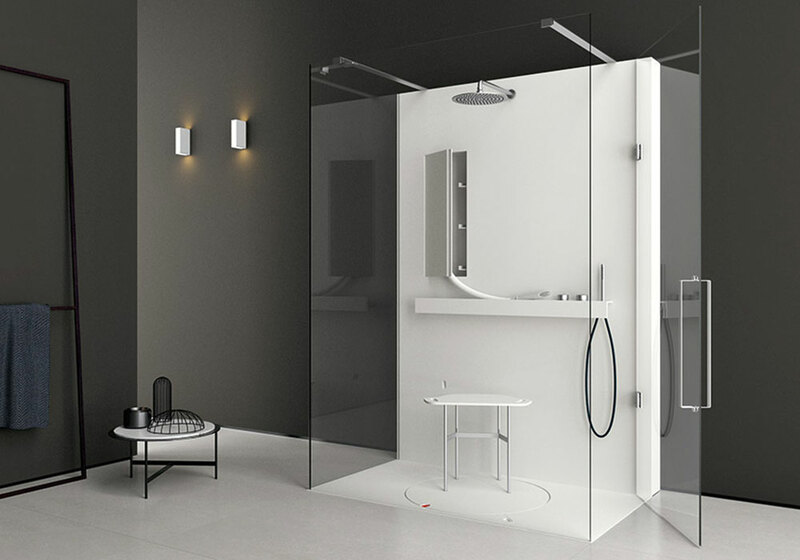 A tray with revolving platform, the wall equipped with integrated taps and the innovative body dryer. Per Makro presenta LIFE, un sistema doccia per tutti. Un piatto doccia con pedana girevole, la parete attrezzata e l’innovativo body dryer con getto d’aria calda.